Available Hillier Jewellers the men's Hugo Boss Watch 1513683. 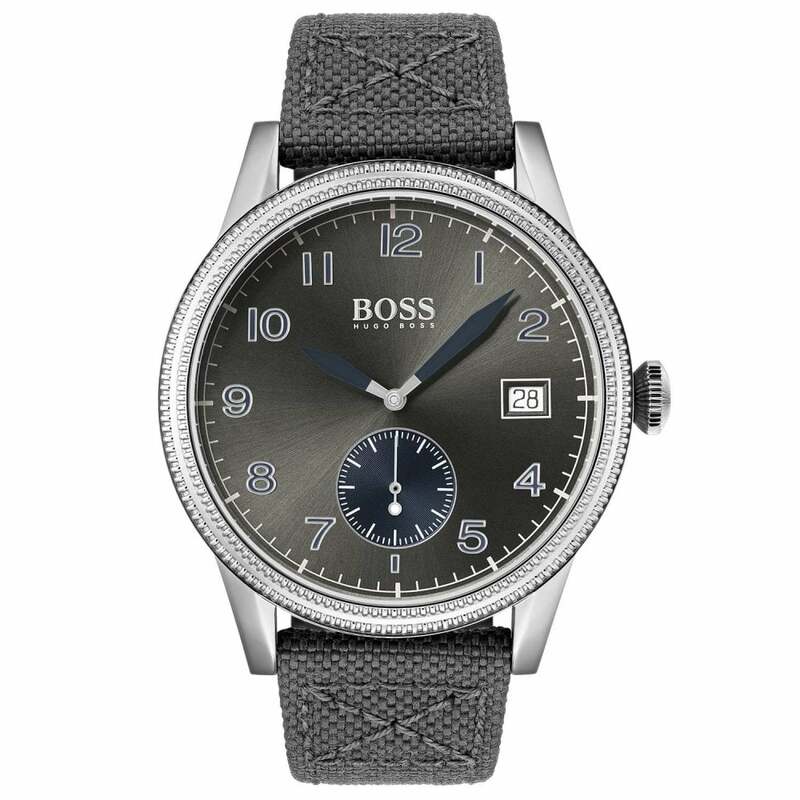 This Hugo Boss Legacy Watch 1513683 has a grey sunburst dial and fabric strap. Supplied with a Hugo Boss gift box it also comes with free UK delivery.